From Under the Rubble with Dr. Fleming and Rex Scott: "Q and A, June 2018 Part 4." From Under the Rubble episodes are available to Gold subscribers and higher. Click here to become a subscriber. 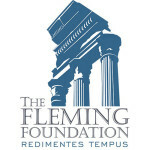 From Under the Rubble℗ is a Production of the Fleming Foundation. Copyright 2018. All Rights are Reserved. On the subject of the character of actors: As people are increasingly given unnatural instructions – boys should be girls and vice versa, white kids in rural Nebraska should watch telly and then act and dress like the black urban youth they see on it – we can expect these bad qualities to multiply and become an increased feature of daily life in the future. Judicial murder is partly an oxymoron that suggests that a homicide sanctioned by legislation or judicial fiat would be regarded as murder or at least an illegal manslaughter under the legal traditions of the country that sanctioned it. As for the pro-life movement, their biggest victory was torpedoing legislation that would have turned infanticide back to the states. It is much too late today even to imagine that a country, in which everyone under sixty knows someone–often a friend or relative–who has had an abortion, could without a miracle turn against infanticide. At every step of the way, Christian conservatives have rejected the example of the Apostolic age and childishly clung to the delusion that this is a Christian nation whose only problems are caused by a tiny elite. The problem is the moral degradation of the American people and that degradation is shared by Christian conservatives who make excuses for divorce, refuse to face the consequences of infanticide, and helplessly watch their country slide into accepting homosexualism and transgenderism but continue to parrot the slogan that the US is a Christian nation, which it never was to any serious degree. Gentlemen, thank you for fleshing out Churchill and Reagan to the extent you did. I think you fairly presented every reason possible for liking or disliking both men, down to Reagan’s astrology and Churchill’s bibulousness (I won’t say whether I think the latter a good or bad trait). I was glad to get your perspective on Lukacs and I can better understand what this great historian found so admirable about Sir Winnie. Interesting take on the character and trustworthiness of actors in this podcast. Dr Fleming, as someone who has watched a lot of movies, can you comment on directors by comparison? Do you subscribe to the auteur theory of cinema? I often look upon the actors as mere props and human resources at the beck and call of the greatest directors. Just hit your mark and say your line. Maybe a topic for a future Q & A. The auteur theory is self-evidently true in a trivial sense: There is always someone who dominates the vision and execution. With big directors like Fellini, we know who it is. Sometimes it is harder to tell. Reviewers usually refer to “Val Luten’s Cat People,” but a competent director, Jacques Tourneur, directed. Did Selznick really create Gone With the Wind? Probably, but a greater force was probably Mitchell herself. There are cases where an actor had sufficient star-power and brains to improve a film or show. In the TV movies Doc Martin was originally just a nice guy caught up in a bizarre Cornish fishing village, but when they were working on the series, so it is said, Martin Clunes, finding his part rather wooden, came up with the revised version in which Doc is a domineering crank–thus making him as much “auteur” as producer Dominic Minghella. Sometimes an actor’s power breathes through the film, but he is still just an instrument. It is said that Burton trained wife Liz for her performance in Virginia Wolf, but I am not entirely sure Mike Nichols wasn’t partly responsible–look what he did with Revolting Travolta in Primary Colors. Who could have imagined so competent a performance? The big “auteur” thesis from Cahiers de Cinema, on the other hand, is about as true as the writings of Derrida. The point of the theory was to argue that movies are as much personal artworks as novels, plays, and other literary forms. To me, that’s all well and good. But Sarris rather shortchanged stylistic and formal concerns, at least in his influential The American Cinema (1968). The way pictorial composition, variations and contrasts in monotone and color palettes, dramatic lighting, actors’ movements and gestures, camera placement and movement, differing sound levels (as by means of multi-track recording), and manipulations of images and sounds (various kinds of overlapping) all affect what a film means and can be hallmarks of a particular director’s personal style as much as writing and preferred or characteristic themes. Whether or not a director is an auteur has, of course, little to do with whether a movie’s good, though for those, like me, who choose to see movies depending on my assessment of its director’s auteur characteristics, the auteur theory can make some less-good movies more interesting and watchable, and the good ones very impressive, indeed. P.S. Val Lewton, who didn’t direct any of his movies, is the pre-eminent example of the producer auteur. His movies look alike, however, and although he took writing credit just four times, he closely oversaw the writing of scripts that were based on his own ideas. Thanks to both of you for the lessons on cinema. I was amused by the Derrida analogy. I once tried to wade through one of his essays, and his style (we have to call it something) alone was enough to make me disregard him. I have generally tended to think of films as being the director’s property: e.g., “I’m going to watch a John Ford movie,” as opposed to a John Wayne movie. On the other hand, there are some performances that stand out for me, Jimmy Stewart as Elwood P. Dowd, for instance (I’m not sure I can remember who directed “Harvey “ off the top of my head). And there are some actors who I’d watch in anything, for instance Robert Duvall, the Stan Musial of Actors. From the Sarris standard (as explained by Ray), W. C. Fields immediately comes to mind (to me)as the auteur non pareil, although I’m sure there are others who wrote, directed, and acted in classic films. I made a conscious decision not to mention Woody Allen there. I spent the briefest of periods reading a house-mates copies of Cahiers de Cinema. As pretentious and silly as they were, they were as superior to Sarris as a Parisian hotdog–veal and pork with Gruyere on a baguette–is superior to the Chicago dog with French’s mustard and lime-green relish, with one difference: I like Chicago dogs. Ken–You’re right about Fields as an auteur. I’m under the impression that all the great clowns of 1920s and ’30s cinema are regarded as the creators of their films, at least until, like Laurel and Hardy and the Marx Brothers, they lost control of their work. Fields, L&H, the Marxes, Mae West (whom I think fails to be funny because she didn’t make movies before she became a star), and perhaps such lesser lights as the Ritzes, Wheeler and Woolsey, and even the Three Stooges–who might all have been funnier if they were smarter and had created their acts in the silents–were very much the authors of their comic personae. Furthermore, Fields and L&H favored the same handful of directors–Eddie Cline, A. Edward Sutherland, James Parrott, Clyde Bruckman, Norman Z. McLeod, James W. Horne, Charley Rogers–most of whom started working with the comics as gag creators and technicians and grew to know exactly how they wanted to appear on screen. Interesting footnote: Jimmy Parrott was the brother of and general collaborator with Charley Chase, whose many short comedies have a number of real winners among them; not insignificantly, Leo McCarey, who later won two best director Oscars, directed Chase early on, subsequently got credited as “supervising director” on later Chase comedies, and did the same duties for L&H silents. Tom–And you’re right about Sarris as a writer and “intellectual”. Nevertheless, his famous book freed film lovers from film-industry-inflicted browbeating for being behind the times, too benighted to appreciate that the newest movies were always better in every way.